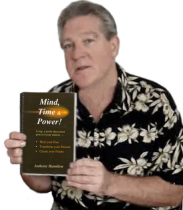 My friend Anthony Hamilton wrote a provocative book: Mind, Time & Power! When he showed it to me one day at the IHOP in New Westminster, I started reading it and couldn’t pull my eyes away. My hand automatically went to my pocket as I said, “I want this book. How much?” I ordered 10 more copies for friends and my life was changed. Tony had put it all together and lined it up. Now, I had new perceptions of mind and time. Careers are about choices. Sometimes you are in charge. Sometimes others make your choices for you. You are encouraged to plan your time and you’re shown how to make the best use of it by choosing the right actions to take each day. But is success not deeper than just managing your time? Isn’t success a Frame of Mind? Choice extends to how you think about events. In his book, Tony suggests that you can Heal Your Past, Transform Your Present and Create Your Future using the power of your mind. For example, your sense of self is based on your perception of your past, not the past itself. So, if you change your perception will you change yourself? How easy is it to change your perception? In Workplace Champion By Example: A Step by Step Training Guide I show how changing the frame on the Van Gogh painting Starry Nights changes the colors that pop from that painting. My message to you is: Set the Proper Frame to Color the Results You Get. How about an example to show you what I mean? Well, my book is filled with them. But here’s a new one. Recently, I decided to create a webinar to project some of the secrets I’ve learned about becoming a workplace champion. I thought how can I save time doing this? I read books and attended courses on how to prepare a good webinar. Common advice urged me to begin by telling the audience why they should listen to me. What have I done to deserve their attention? How can I be credible to strangers? From another point of view I’ve had a phenomenal career: musician, pilot, entrepreneur, trainer, administrator. So I wrote the credibility part by listing my accomplishments. I “framed” it with success. I produced the webinar and uploaded it to YouTube. But, I was uncomfortable about the credibility section. Was it because I don’t like to brag? 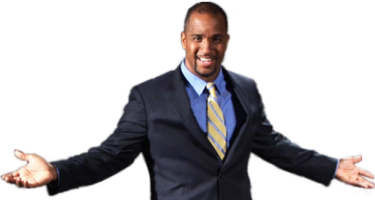 Then, I saw a tip from Craig Valentine, professional speaking coach. Craig said, if people think you’re special, they won’t believe that your advice applies to them. So show them that you are just like them, but you have advice to help them get better results. They will be more likely to listen and believe that your advice will work for them too. So, I reviewed my career from a new perspective, looking for failures. I wrote a whole new section about how, throughout my career, my plans were thwarted. Others had intervened to foil my plans. I tried to frame my credibility section with failure. Both frames failed to do what I wanted them to do. I almost wrote it again until I realized “Of course, I’m different… because I kept going where others might have stopped!” How did I succeed in spite of others’ choices? How am I different? And was there a system there that could help others? It’s not what happens to you that’s important, it’s your perception of what happened to you. It’s like the joke about a child on his birthday entering his bedroom and finding it filled with manure. He enters and starts digging happily until he’s asked what is he doing. He replies, “With all this horse manure, there MUST be a pony in here somewhere!” His mindset is the key to his happiness. The difference between failure and success is in your MINDSET and ACTIONS. In my career, my mindset never saw challenge as failure, but as a chance to find a better opportunity. I built a new framework of opportunities around each setback I met. That’s why I succeeded. Can I teach that to others? HOW TO CHOOSE A NEW FRAME when your plans are altered by other people. When I looked back at my past, I saw dashed plans followed by new opportunities. I could label them failures or I could label them opportunities. In each case, my positive choice created a positive future. I joined the Canadian Air Force to be a photographer. They said, “No.” I said, “What can you offer me instead?” They said, “Pilot.” I said, “Okay, what do I have to do?” Then I did it. I left the Air Force to be an airline pilot with Air Canada. They delayed the course twice at the last minute: first 6 months and then a year. I couldn’t stand the thought of being idle for a year. So, I applied for a part time job as a pilot for a small airline, and drove taxi to fill in the gaps when I wasn’t flying. When that small airline went bankrupt in 6 months, I was free again to make a new choice. I tell the story in my webinar “5 Steps to Workplace Champion” about how I ended up building a successful scheduled airline from the ground up, while waiting for my plan of joining Air Canada to materialize. Looking back, can you see what led to my success? I chose to see a setback not as a failure but as a chance to reframe a new plan based on a new opportunity. When Challenge is married to Opportunity, a Goal is born. It’s not a problem shutting you down, it’s a challenge creating an opportunity. It’s about perception and mindset. It’s about your choice influencing your results. If you make good choices, you’ll get good results. In flying, it’s checklists that help you remember to do the right things to get the job done. You follow a pre-takeoff checklist to prepare the aircraft for a safe and effective takeoff. Another checklist ensures a safe landing and so on. There are checklists to follow in an emergency. This was my initial training for the workplace. I spent the rest of my life developing checklists for the workplace. Now, I offer these checklists to you. They have been written, tested, modified and proven to work in all workplaces. Are you interested in learning the process for building workplace checklists? Would you like to see these checklists? First comes ATTITUDE. This is about perception and mindset. How do you view a setback? If you frame it as a failure, that’s what it is. Can you develop the habit of framing setbacks as opportunities? Your attitude is guided by your habits of thought. If you can’t stop an established habit, can you replace it? Does your habit of thought get you what you want? If what you are doing is not working out, can you change it? Oh yes you can! I’ll show you how. HABITS of THOUGHT create ATTITUDEs. HABITS of POSITIVE THOUGHT create POSITIVE ATTITUDES! Can you have positive thoughts about a negative result? Yes, it’s your CHOICE, isn’t it? What happens to you doesn’t change who you are! Anthony Hamilton showed us how to change our past, present and future by the power of new perceptions. The word “Problem” spawns negative thoughts. “Challenge” spawns positive ones. Calling an event a problem brings you down. Calling it a challenge suggests it can be solved. Problems are depressing. Challenges are engaging. Just changing that one word in your self-talk and conversations can get dramatically different results. Try it! Set your mind; direct your thoughts with the words you choose to use. Foiled plans are not frustrating now, are they? They are fascinating! When you hear yourself about to use the word frustrating, can you change it to fascinating? When you do, peoples’ expressions will change from frowns to smiles as their minds search for better ways of working with disappointments. Think about it! Try it! Is your boss a bully or is he just determined and sure of himself. Try telling him he’s stubborn and watch his reaction. Tell him that he seems determined and hear him say, “Determined? 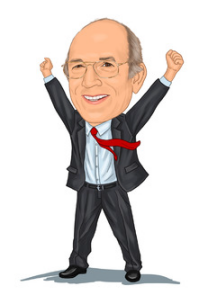 Interesting… Most people call me stubborn!” If he agrees with your label of determined, he is more likely to explain his thought process and you may learn something. But, if you call him stubborn, he is more likely to close down. Always look for choices with the words you think and use at work. Does the word you are about to use have a positive synonym? Use it instead and watch your success grow. Mindset is useless without action. So, what action words can you use instead of passive ones? Can you replace, “We expect good results from this plan” to “We’ll get good results from this plan by taking the following actions. We will gather the stakeholders who are likely to gain or lose and ask what they will do to support the plan.” Can you feel the difference between these statements? Instead of foiling your plans with negative or passive words, can you fuel them with positive phrases and action words? Dictionary.com incorrectly defines consensus as a majority of opinion. A majority decision is not a consensus. For a decision to be a consensus, it requires 100% backing from the decision makers and stake-holders. This is the beauty of CONSENSUS. You must negotiate it. Every stakeholder must believe they will gain enough from a decision to support their YES vote. A majority requires most people to vote YES. The trouble with a majority decision is that the remaining minority who are against the decision may sabotage its success. 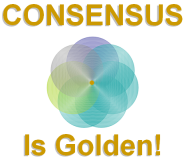 How do we craft consensus, then? We must know how to modify mindsets. Mindsets are built on perceptions of need fulfillment. If a person is opposed to a decision, it will be because the decision deprives them, or prevents them, from meeting their needs. The consensus builder must influence minds, must positize the negatives, through the use of word images. It’s not easy, but it is simple. Can you modify decisions to meet the human needs of stakeholders in ways that reduce the negatives to a level of inconsequence? Can you empathize and understand stakeholders’ needs and adjust a decision accordingly? When you have consensus, nothing stands in your way. Removing objections to create consensus is a beautiful talent in a leader! It’s how you build fail-safe plans and achieve your goals. Life is full of choices. You can ignore the opportunities that presents. Or you can embrace your freedom of choice. What will YOU do?